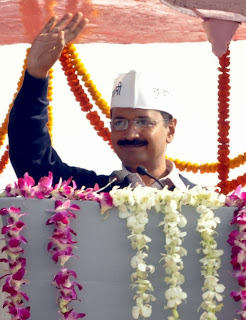 Congratulations on becoming the Chief Minister of Delhi and we wish you success in accomplishing the promises made to the citizens and in giving us an efficient corruption free administration. The RWAs of Delhi have been representing to DERC on issues of Power Tariffs over the past ten years and have researched and collected a lot of Documents that suggest that all is not well in the way DISCOMS operate in the Capital and have been given LOOT KI CHOOTH (Licence to Loot). Your promise of 50% Tariff reduction is a Possibility ????????? that may be achieved but will need many months if not longer as there are many procedures and steps taken which cannot be speeded up. For CAG Audit there have to be first Complete Record and you will be surprised to know that since 2004 a Prudence Check has not been conducted by DERC so on what grounds will CAG conclude the correct figures. Like wise at the time of transfer from DVB the Asset Register of all that was handed over to DISCOMS has yet not been made. Many such irregularities have been allowed for DISCOMS to PROFIT AND PILFER. Do not forget how Indian Files develop feet and go hide far far away when those in Power Develop Cold Feet ….. remember Coal Gate Files. Putting the house in order will take time but I wish to suggest THREE things that you can issue Orders for implementation that will give relief to the citizens without even touching the Tariffs. 1. Order the DISCOMS to Disable the Recording of Units in the Neutral Wire by the Electronic Meters (failing which install new meters that comply). The earlier Mechanical Meters did not record Flow of current in the Neutral Wire and only recorded the current flow in the one in use amongst the three Phases. We have been asking the DERC since 2009 to stop this practice of fleecing the customers by DISCOMS. These Meters record the Highest Current flowing in the four wires so if I am using an AC and my neighbour only has a tube light on …. the current in his Neutral will be higher because of my AC than in the Phase giving current to the tube light. Why it happens …… Due to Common Neutral and imbalance during Peak Load in the Three Phases and to Balance the three Phases current flows in the Neutral Wire which is common to all Consumers. This current is called Residual Back Flow. 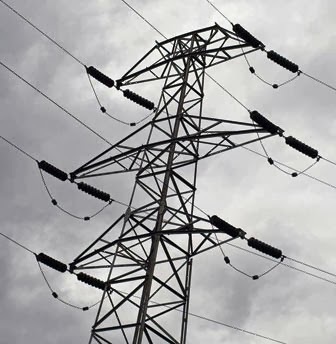 The Electricity Act recognises this and provides for a BUSBAR to be installed by the Service Provider and that no Neutral Looping should be done so that one Consumers consumption does not affect the billing of others connected to the Common Neutral. 2. Over Provisioning or Surplus Power purchased to give 24 X 7 Uninterrupted Power Supply is a convenient tool to Fleece Citizens. While some backup is necessary but todays scientific systems provide for accurate prediction of consumption patterns. If still there is over demand then Power to Areas showing over 75% theft should be switched off. While it is shown that Distribution losses are only 15% average ….. on careful study it is noticed that there are many Areas reporting 60% to 98.98% theft …… MOST OF THESE ARE IN MIXED OR INDUSTRIAL ZONES and have been identified. Why should Honest Consumers Pay higher Tariffs to give uninterrupted supply to Thieves or Vote Banks. Why it Happens …… Actually Power Theft is DISCOMS business necessity, how else will they hide the unearned profits due to Residual Back Flow that makes the Meters run fast. If there was 0% or even 10% loss then they will be caught easily as the billing will be more than the electricity supplied and a bigger Racket running into thousands of cores of unearned profits will be revealed. We have Data that shows Negative Loss in hundreds of Transformers. 3. File an FIR with Criminal Charges for wilful cheating of consumers by installing Electronic Meters by DISCOMS at a huge capital expenditure and earning assured 16% Return On Investment to LOOT US. The earlier Mechanical Meters may not have been recording small flow of current like Mobile Chargers or Zero watt bulbs but that would not be more than 2% – 3%. Instead they are now collecting over 30% extra profits for power they never supplied and adding salt to injury 5% energy tax and 8% surcharge ….. maan gaye ustaad. Why it happens …… We suspect (we know) that the DISCOMS get into side deals with Bulk consumers in the Theft prone area to hide the true picture from emerging (thousands of meters are shown to have ZERO reading with obvious consumption) and make neat unaccounted profits for easy payoffs to please the powers that be.